Reston, Virginia – In nuclear medicine, the goal is to keep radiation exposure at a minimum, while obtaining quality images. Optimal dosing for individual patients can be difficult to determine. That’s where 3D-printed organ models of varying size and shape could be of great use. To demonstrate the potential of 3D printing techniques for quantitative SPECT/CT imaging, kidneys—as organs-at-risk in many radionuclide therapies—were selected for the study. 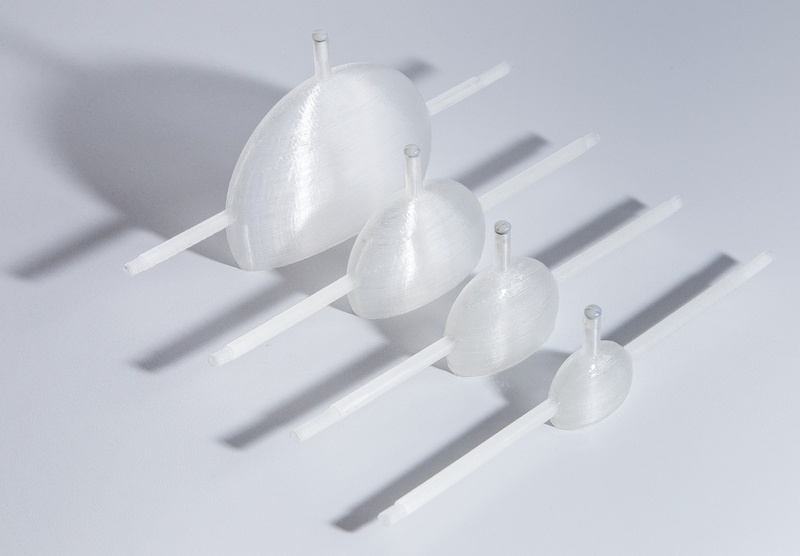 A set of four one-compartment kidney dosimetry phantoms and their spherical counterparts with filling volumes between 8 mL (newborn) and 123 mL (adult) were designed based on the outer kidney dimensions provided by Medical Internal Radiation Dose (MIRD) guidelines. Based on these designs, refillable, waterproof and chemically stable models were manufactured with a fused deposition modeling 3D printer. Nuclide-dependent SPECT/CT calibration factors for technetium-99m (Tc-99m), lutetium-177 (Lu-177), and iodine-131 (I-131) were then determined to assess the accuracy of quantitative imaging for internal renal dosimetry. Ultimately, affordable 3D printing techniques hold the potential for manufacturing individualized anthropomorphic phantoms in many nuclear medicine clinical applications. Authors of the article “Design and Fabrication of Kidney Phantoms for Internal Radiation Dosimetry using 3D Printing Technology” include Johannes Tran-Gia, Susanne Schlögl, and Michael Lassmann, Department of Nuclear Medicine, University of Würzburg, Würzburg, Germany.